Elite Nobility high-end engraved table desk clock with four chrome pillars mounted on cherry base with silver time piece dial clock suspended on swivel 360 degree glass. This engraved clock has a ornamental hour and minute decor needle timepiece that is floating on glass. 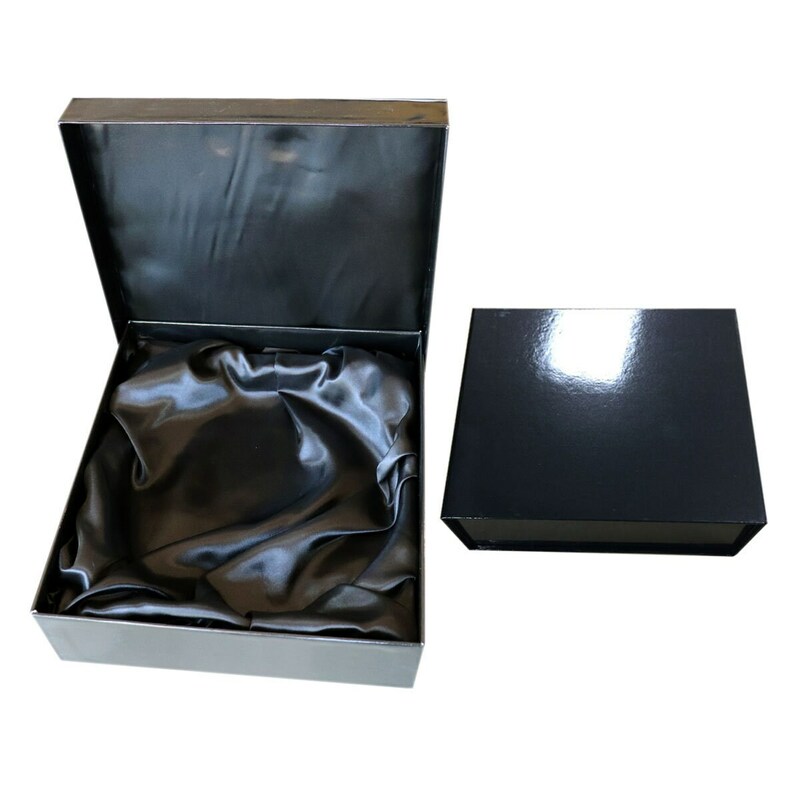 ► Contact us through email info [!at] AllGiftFrames.com or TEXT us at 714.227.8735 or put info in "Note to Seller" field box and let us know what you want to engraved on the silver engraving plate. 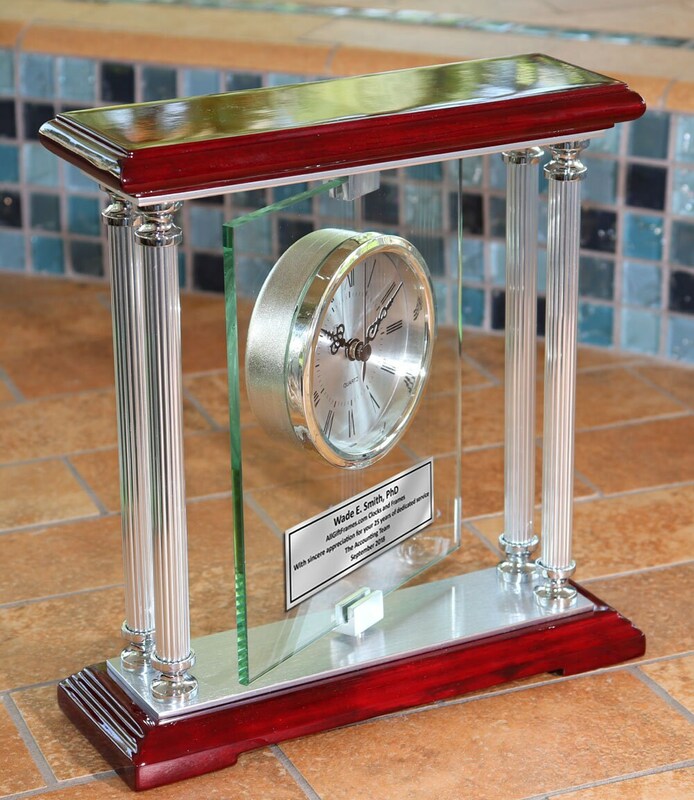 ♥ The Nobility metal, wood and glass clock features a unique design and space for a silver personalized engraving plate for a special message to signify recognition or success. 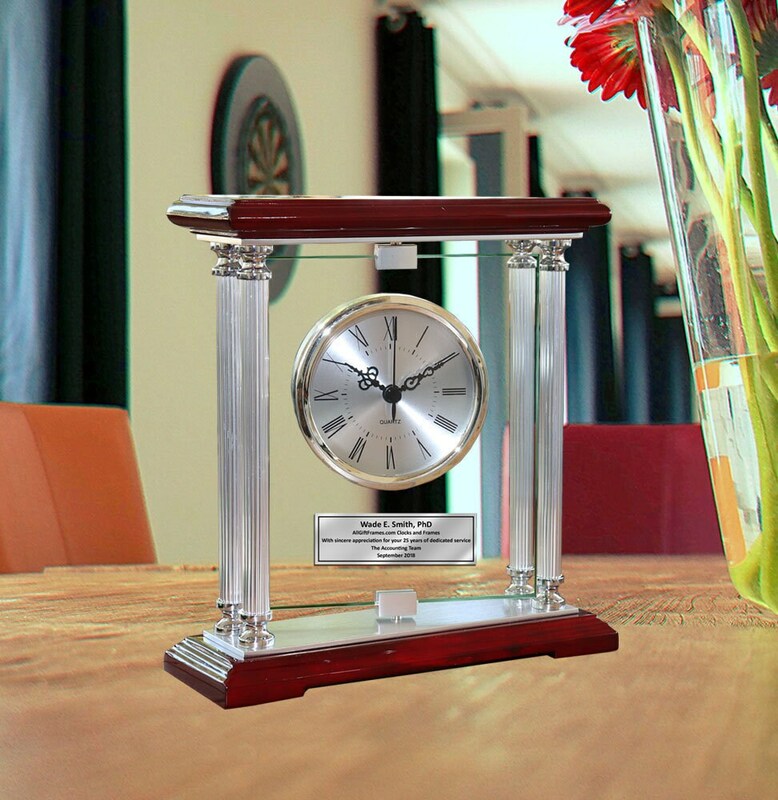 Beautiful shiny wood cherry finish with silver metal pillar accents and glass case surround the clock. ♥ Overall Engraved Glass Cherry Desk Mantle Clock size 9" x 8.5"